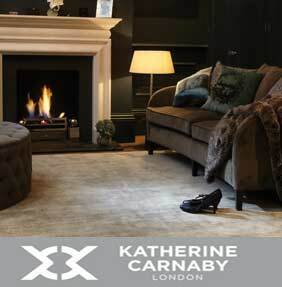 A designer collection of handmade wool and viscose rugs. 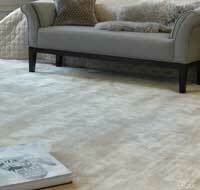 Consisting of 4 collections - Chrome, Chrome Stripe, Darcy and Coast. Chrome is a shimmering viscose collection featuring silky smooth textures and light reflecting yarns that give a contemporary touch to a plain rug. 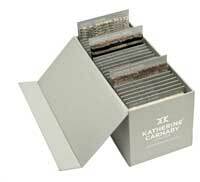 Choose from 13 colours, Bone, Silver, Barley, Taupe, Putty, Zinc, Smoke, Mushroom, Charcoal, Tan, Pearl, Latte and Petrol. Choose from 4 size or take advantage of a made to order bespoke size. Chrome Stripe features the same yarn and appearance as Chrome, the only difference is a faint stripe running width-ways. Colours include - Putty, Feather, Nero and Barley. Darcy features a heavy pixel / stripe design that is toned down in colour, this gives a subtle pattern with a slightly contrasting colour palette. Choose from 6 colours - Silver, Biscuit, Stone Blue, Mushroom, Smoke and Mocha. Choose from 5 sizes including 2 large sizes, bespoke sizes are available to order. 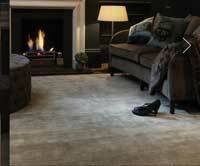 Coast is mainly made from loop pile wool and viscose, the ball like texture is simple but very effective. The weavers also use different textures like rope effect, this adds texture and adds to the overall look of this beautiful designer range. Choose from 8 different options, all made in 5 sizes, bespoke made to measure sizes are available to order. 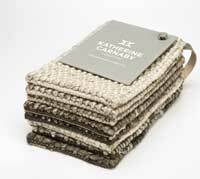 Please contact us for prices and information, we stock samples of all the Katherine Carnaby collection in our Cheshire showroom.